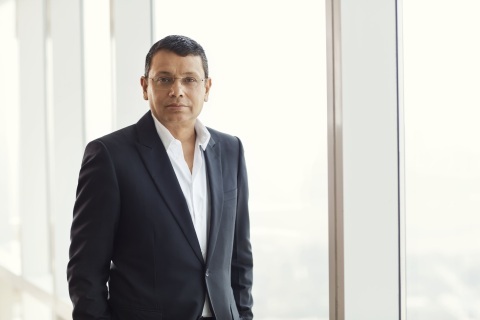 21st Century Fox (NASDAQ: FOXA, FOX) announced that it has elevated Star India Chairman and CEO Uday Shankar to President, 21st Century Fox, Asia, effective immediately. In his new role, Mr. Shankar will lead 21st Century Fox’s (21CF) video businesses across all of Asia, including Star India and Fox Networks Group, and work closely with 21CF leadership on key strategic initiatives in the region. He will continue to serve as Chairman and CEO for Star India, a key driver of 21CF’s growth and one of India’s largest media and entertainment companies, comprising 60-plus channels across entertainment and sports and eight languages, as well as leading digital video platform Hotstar. Zubin Gandevia, President of Fox Networks Group Asia, will continue to oversee video brands across 14 markets and now report to Mr. Shankar under this realigned regional structure. 21CF’s film business in Asia will continue to report directly to Stacey Snider, Chairman and CEO of 20th Century Fox Film. As Chairman and CEO of Star India, Mr. Shankar leads a company with market leadership in key geographies, demographics, and time slots, and today reaches more than 700 million viewers in India and across the globe every week. Mr. Shankar has been at the helm of Star India since October 2007 and has guided the transformation of Star into a diversified media company, leading initiatives in distribution through Media Pro, movies through Fox Studio, regional television through Asianet, and sports, following 21CF’s (then News Corp) acquisition of its joint venture with ESPN in 2012. His tenure has been marked by persistent leadership in television through innovative programming and investments in leading technologies, both of which have set the benchmark for the industry. An M.Phil graduate of Jawaharlal Nehru University, Delhi, specializing in Economic History, Mr. Shankar began his professional life as a political journalist. Prior to Star, he was the CEO and Editor of Media Content and Communications Services, which operated Star News. He was also Editor and News Director at the TV Today Group, where he led the launch of Aaj Tak in 2000 and Headlines Today in 2003. In addition to his leadership of Star, Mr. Shankar is a leading voice of the media and broadcasting industry in the country, shaping reforms for the industry and its consumers. As the former President of the Indian Broadcasting Federation (IBF) and the current Chairman of the FICCI Media & Entertainment Committee, Mr. Shankar has been at the forefront of landmark changes in self-regulation and pushing access for consumers to digitized distribution.